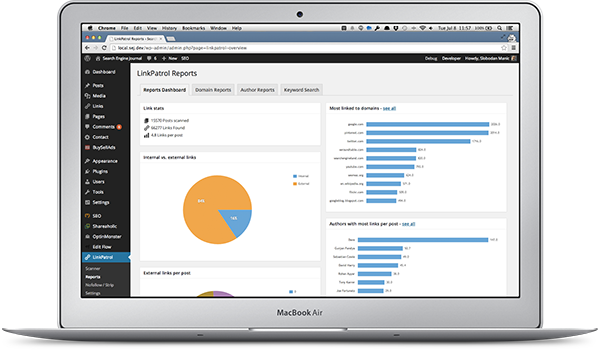 LinkPatrol is the easiest way to keep track of, review and clean up links in your posts ​and ​pages. Its three step process makes it extremely easy to use, all you need to do is Scan, Review and Take Action. Scanning your content for links takes several seconds and you only need to do it once. After initial scan all new and updated posts and pages are scanned automatically. LinkPatrol reports help you analyze your linking out strategy, sorting links by domain, author who added them or anchor text. All reports can be exported to CSV files and viewed in your spreadsheet app. Once you've found some bad links you don't approve of, no need to edit each post that has them. 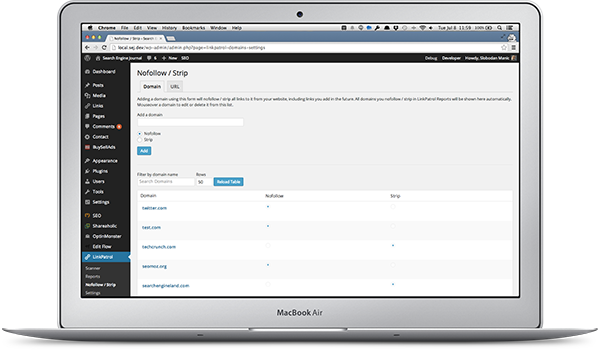 You can simply nofollow or strip all links to certain domains or URLs. So what are you waiting for? Grab LinkPatrol now!